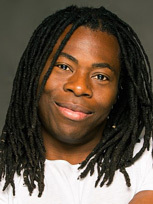 Having survived polio as a youngster, Ade Adepitan has since succeeded as an international Paralympic wheelchair basketball player and has built up a wealth of Broadcasting experience. Flashback to his early presenting days and some of you may remember Ade Adepitan from the CBBC series X-Change and the BBC ‘dancing wheelchairs’ idents. 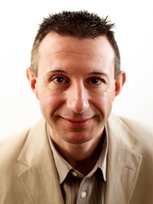 An instantly recognisable face, Ade has travelled the world for his work including the BBC’s internationally known Travel Show exploring the history and cultures behind the globe’s most enticing countries. 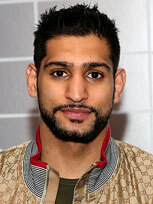 Amir is a world class boxer and Olympic silver medalist. Amir Khan is one of the most talented sportsmen of his generation. Catapulted into the limelight from the 2004 Silver medal Olympic podium, Amir has become Britain's highest-profile boxer racking up an impressive professional fight record; having become the World Light Welterweight Champion in July 2009 after his life changing fight against Andreas Kotelnik. Rower Anna Watkins played her part in a hugely successful London 2012 Olympics not just by winning gold, but by partnering three-time silver medalist Katherine Granger to a long awaited Olympic win. 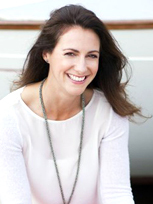 Anna was introduced to rowing when she studied at the University of Cambridge. Moving up to the full international squad, Anna's rise to winning ways had begun. With the world famous partnership with Katherine Grainger, the two were unbeaten in their first season rowing together and they went on to claim two World Championship golds before entering and championing the London 2012 games. Setting a new Olympic record on the way the pair convincingly won their Olympic final to take gold and provide one of the most memorable moments of the games. Brian is a European Champion. Brian is famed for winning the 4x400m relay with only one shoe. He is a two time European gold medalist, and goes down in the hearts of British fans as the epitome of perseverance and determination. Brian is now a coach and mentor. 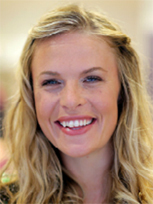 Chemmy is Britain's number one and favourite alpine skier. Chemmy is Britain’s number one female alpine skier. She started skiing as a toddler aged 18 months and began competing seriously at the age of 8. From this committed early start to her career, Chemmy has progressed in every discipline and has worked her way up to be ranked 8th in the world. She was the first British woman to qualify for the World Cup Finals, the first British skier to win a run in a World Cup race and the first British skier to win the British Land National Ski Championships six times in a row. Chemmy has competed in three consecutive Olympic Games, in Salt Lake City, Turin and then Vancouver, where at both Turin and Vancouver she finished an impressive 11th place. Despite a horrific accident in Lake Louise in 2010, Chemmy has embarked on a remarkable road to recovery to head for her fourth Olympics: Sochi 2014. As well as being ranked in the top 30 in the world for Super G, Giant Slalom and Combined, she is an excellent ambassador for British sport, encouraging younger athletes to pursue their dreams. 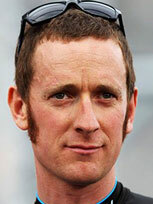 Chris is an Olympic gold medalist in cycling, being Britain's first cycling gold in over 70 years. 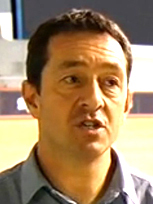 Chris Boardman won the 4km individual pursuit at the Barcelona Olympics and broke the world hour record three times. His was the nation's first gold in cycling for over 70 years. The iconic image of the Lotus machine and pointy helmet linked Chris forever with cutting edge technology. This was reinforced with Chris leading the research & development team for GB Cycling in the run up to the 2008 Beijing Olympics, where they became the most successful British sporting team of all time. He is now Greater Manchester’s Cycling and Walking Commissioner and intends to bring continental levels of bike use to the UK. 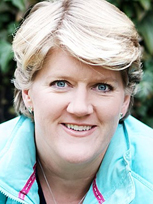 Clare Balding OBE is one of the UK’s favourite and leading broadcasters. Clare Balding began her career as an amateur flat jockey, becoming Champion Lady Rider. The transition from competing to presenting began with her television debut at Royal Ascot. Clare is now an established name in BBC sport, winning several awards. She has also written regular columns for the Observer and Sunday Telegraph, as well as Racing Post. Best known for being the former World, Commonwealth, and European 110m hurdle champion, currently holding the World Championship record time for 20 years. Colin Jackson CBE is ranked as being one of most successful British athletes of all time. His athletic prowess gained him World, Commonwealth, and European champion. His world record 110m time was unbroken for an astonishing 13 years, but still remains the World Championship record time. Colin still holds the 60m hurdle record time, which has now been unbeaten for nearly 20 years. 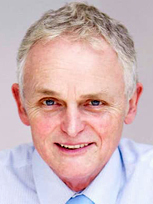 Since retiring from athletics, Colin was a natural choice to become one of the key members of the BBC's sports production team and he continues to cover all of their Athletics output as a BBC pundit and presenter. A double Olympic gold medallist, Kelly Holmes became only the second woman in history to claim the 800m and 1500m titles in the same Games. The Athens Olympic Games was the pinnacle of a long but frustrating international athletics career for Kelly Holmes. Her Double Olympic Gold triumph changed her life forever and fulfilled her second childhood dream of becoming an Olympic Champion. She became the first British female athlete to win both the 800m and 1500m. 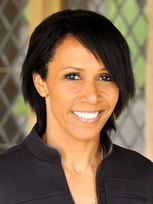 Since retiring from international athletics, Kelly has started a new chapter in her life in the business world; establishing her own company Double Gold and her charity the Dame Kelly Holmes Legacy Trust. She has also been active in raising the profile of school sport up the political agenda. Kelly became National School Sport Champion in 2006 for three years and pioneered the creation of National School Sport Week. She also led the creation of Girls Active set up with the Youth Sports Trust to capture the interest of disengaged female teenagers. She now has a number of ambassadorial positions for TeamGB, London 2012 sponsor BT, the Jaguar Academy of Sport alongside the honour of being President of Commonwealth Games England. David is one of the most famous and loved footballers in the world. 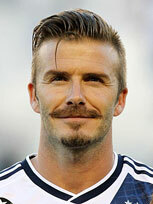 Beckham is an athlete of immense talent and success. Having played in leagues across the world, for teams including Manchester United, Real Madrid, A.C. Milan, L.A. Galaxy, and P.S.G., Beckham is one of the biggest names in football. He went on to be the first English player to play in 100 Champions League matches and to win 4 league titles in four different countries. 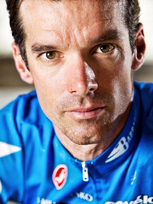 David Millar is the only British cyclist to have worn ALL four Jerseys from the Tour de France and ALL three of the Leader’s Jerseys in the Grand Tours. David Millar is former British National Road Champion and Time Trial Champion, the only British Rider to have worn all the Leaders Jerseys from the Tour de France and one of only six British riders to have worn the Yellow Jersey. He was also the first of only two British riders ever to have worn the Leader’s Jersey in all three Grand Tours. Millar was banned for two years in 2004 after admitting taking banned performance enhancing drugs. During his ban and on his return to cycling in 2006 he worked with WADA and UKAD on various anti-doping initiatives and has become a voice for anti-doping within the sport. His final chapter in cycling saw him win Silver in the World Championships, stages of all three Grand Tours and write a best selling Autobiography. David retired from cycling at the end of 2014 season but remains actively involved in the sport. Denise Lewis is a retired English heptathlete. Denise Lewis is a retired English track and field athlete, who specialised in the heptathlon. She won the gold medal in the heptathlon at the 2000 Sydney Olympics. 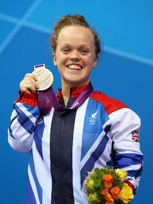 Paralympic Gold Medalist, fantastic role model and personality - Britain's golden girl. 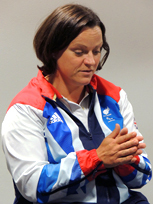 Ellie is four times Paralympic Champion and current multiple world record holder. The youngest winner of the BBC Young Sports Personality of the year in 2008 and then the youngest recipient of the MBE at the age of 14 years. Now an OBE she has a world class reputation and huge personality. Having sailed the Atlantic alone twice, Hannah is one of Britain’s most inspirational women. Sailing solo for weeks at a time and coming 2nd in a transatlantic race, Hannah has faced icebergs, intense sleep deprivation, technical failures and the worst that the North Atlantic Ocean can muster. Hannah has led others through hostile conditions, inspiring fellow crew members in some of the world’s toughest oceans. 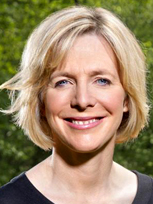 Hazel is one of BBC Sport’s most experienced, versatile and recognisable broadcasters and is the current face of its snooker coverage. An integral part of the BBC’s coverage of all major events, Hazel presented at Rio in 2016, marking her eighth consecutive Summer Olympic Games. She has worked on every Winter Olympics and Commonwealth Games since 1994 and, in addition to presenting and reporting, Hazel is an experienced commentator on many sports and events. Best known for being one of Britain's most successful athletes ever, with his rowing prowess in the 2000 Sydney and 2004 Athens Olympic Games being two of the most watched sporting contests in history. 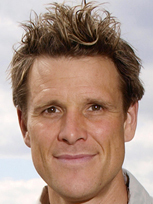 James Cracknell OBE's athleticism knows no boundaries; competing as a part of Team GB's rowing squad, James obtained 2 Olympic gold medals, and 6 World Championship titles. Since retiring, James has competed in multiple endurance events, including coming 12th in the Marathon de Sables, becoming the highest ranked Briton in the race's 25 year history. After a long and grueling recovering from a near-fatal accident in Arizona, James went on complete 'The Coldest Race in the World' in the Canadian Yukon. James' impressive feats have drawn interest from all over, seeing his participation in the Amundsen Omega3 South Pole Race with Ben Fodge and Edward Coats being broadcasted in a 6-part BBC TV show. 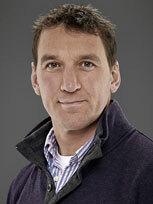 Olympic and World Championship Welsh & British sprint athlete, TV presenter and investor in young peoples development. 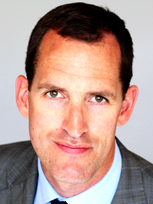 Jamie Baulch enjoyed a career spanning 15 years at the top of world class athletics. 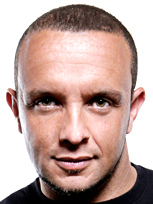 Since retiring in 2005, he has starred in several reality TV shows and directed several business ventures including the Jamie Baulch Academy and a great contestant on Dancing on Ice! As poster-girl for the London 2012 Olympic Games, Dame Jessica Ennis-Hill stormed to victory in the Heptathlon to bring home her first Olympic gold medal. One of the stars of the London 2012 Olympics, Dame Jessica Ennis-Hill was not just the 'poster girl' for the games, she also demonstrated the determination, competitiveness and sporting behaviour with which the games is synonymous. When Jess stormed home in first place in the 800m, her final event, it secured the gold medal for her, and in doing so captured one of the most memorable golds of the Olympics and providing one of the highlights of the London games. Joanna Rowsell Shand MBE is an English cyclist on the Great Britain Cycling Team who competes on track and road. 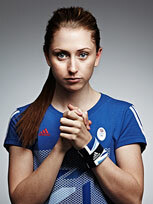 Joanna Rowsell Shand MBE is a GB Cyclist, Olympian and 5x World Champion. Jonathan is regarded as the finest triple jumper of all time. 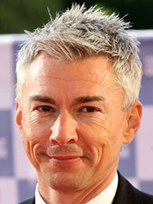 The finest triple jumper of all time, Jonathan Edwards is the former Olympic, Commonwealth, European and World Champion - and the current world record holder. He was an ambassador for the London Olympics bid before becoming a key member of the Organising Committee. Breaking the World Records as part of a cycling trio at the 2012 London Olympics. Laura Kenny OBE is an English track and road cyclist who specialises in the team pursuit and omnium disciplines. 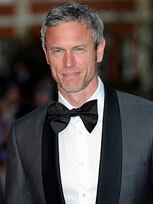 Mark is known as the most decorated British swimmer of all time. 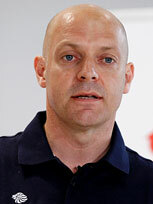 Since Mark burst onto the International swimming scene, at the age of 16, representing England at the 1986 Commonwealth Games, he has gone on to represent his country more times and been decorated more than any other male swimmer. Throughout his impressive three decade career he has won 47 international medals; competed in 5 Olympics, been 8 times Commonwealth champion, 10 times European champion and 8 times World record holder. Martine is a 7/7 bombing survivor and Paralympian. Martine Wright lost both legs in the 7/7 terrorist attacks on the London underground. She has since rebuilt her life, skydived, learned to fly, and become a member of the British 2012 Paralympic volleyball team. Nicola Adams OBE is a British professional boxer. Nicola Adams OBE was the first woman to win an Olympic boxing title, she is the 2012 and 2016 Olympic gold medallist in the women's flyweight division. 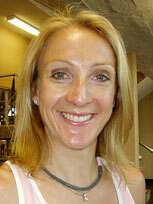 Paula Radcliffe is an English long-distance runner. Paula Radcliffe is the current women's world record holder in the marathon with her time of 2 hours 15 minutes and 25 seconds. Rebecca is known to be one of Britain's most successful swimmers, still holding the world record time for the 800m Freestyle. Great Britain's most successful ever swimmer, Becky Adlington, announced her retirement from international competition in February 2013, and immediately set out her vision for her legacy, which she sees as her greatest challenge in swimming. 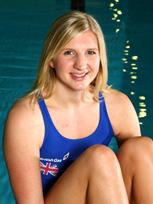 During a stellar career, Adlington won multiple Olympic, World, European and Commonwealth Games gold medals. She competed in four Olympic finals, winning two Gold and two Bronze medals in Beijing and London respectively. She remains the current world record holder in the 800m Freestyle, and undoubtedly the greatest swimmer that Great Britain has ever produced, not to mention one of the most successful female athletes in British Olympic history. Winner of the T42 200m Gold at the London 2012 Paralympics, Richard is the current world record holder for leg amputees in both the half and Olympic marathon distances. He is also the first ever leg amputee to complete the marathon in under 3 hours. Richard recently completed a mammoth challenge of 40 marathons in 40 days in Britain, seeing him run from John O'Groats to Land's End. Roger Black MBE was part of the famous team that clinched gold from the Americans in the World Championship 4 x 400m relay in Tokyo. Roger Black MBE is one of the country's most successful sportsmen having represented Great Britain for fourteen years at the highest level in the world of athletics. Roger won fifteen major Championship Medals including European, Commonwealth and World Championship Gold Medals. His greatest achievements were winning the Olympic 400 metres Silver Medal in 1996 and being part of the Gold Medal winning 4 x 400 metres relay team at the 1991 World Championships. 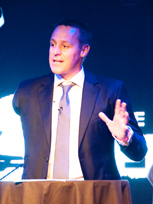 Still one of the UK's most popular speakers, Roger inspires and motivates audiences throughout the UK and Europe – he understands the dynamics of becoming a champion, how to live a dream, set goals and fulfil ones potential. 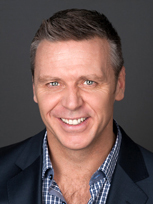 Roger's presentations are designed to motivate people to become more successful both as individuals and as members of a team. All world-class teams are comprised of world-class individuals. 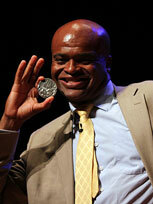 Roger shares strategies to develop the mindset of a champion by applying his "Five Fundamentals" for success. Sally is the only woman to ever hold the Big Four concurrently - Olympic, World, European & Commonwealth Gold Medalist. Sally Gunnell OBE DL is the only woman ever to hold the Big Four concurrently (Olympic, World, Commonwealth and European titles), Sally remains a towering figure in British athletics. She has more than 15 years’ experience in addressing a wide variety of corporate audiences. She has covered global conferences of thousands and senior leadership teams of just 6. Her natural, easy-going style belies her relentless focus on achieving and sustaining excellence. Sharron Davies MBE is a immensely successful British swimmer and broadcaster. Sharron Davies MBE occupies a unique position in British life. She has occupied a position as one of the UK’s best known and most popular women since she burst onto the scene as a 13-year-old Olympian in 1976. Sharron Davies MBE is the ultimate Olympian. She has attended 9 Olympic Games – three as an athlete and six as a broadcaster, and has unparalleled experience over the past 35 years as a competitor and broadcaster. Ben is best known for his numerous sailing achievements, including quadruple Olympic gold and silver medalist, three time ISAF World Sailor of the Year, and 10 times Finn Class World Champion. 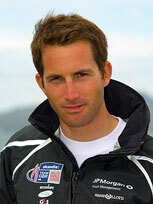 Ben Ainslie is the most decorated Olympic sailor of all time, being a four-time Olympic gold medalist. He rose to prominence in the Atlanta Games after being beaten into silver by Brazilian Robert Scheidt. In Sydney he took his revenge, establishing a fourteen-point lead over his rival in the final race. Remarkably, he went on to win in Athens, Beijing and London. 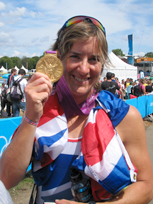 Britain's most decorated Olympic athlete, winning six Olympic cycling golds. 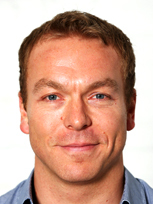 Sir Chris Hoy has long been one of the world’s best known cyclists and in 2012 he found another place in the record books as Team GB’s most successful Olympian, with six gold medals and one silver, making him also the most successful cyclist in history. His passion for cycling started from a young age he truly followed his ambitions to achieve this success. 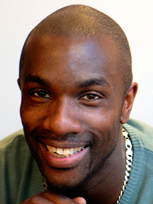 In 2008 he was voted BBC Sports Personality of the Year, and was appointed Knight Bachelor in the 2009 New Year Honours "for services to Sport". In 2012 the "Sir Chris Hoy Velodrome", built for the Glasgow 2014 Commonwealth Games was named in his honour. Being one of only 5 Olympians to ever achieve four consecutive Olympic gold medalist, Sir Matthew Pinsent and his rowing success has propelled him to becoming one of Great Britain's most successful and highest profile athletes of all time. 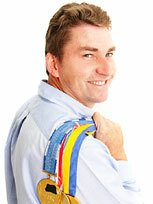 Sir Matthew Pinsent is a business coach and motivational speaker. He won four Olympic gold medals between 1992 and 2004 in rowing, one of only 12 worldwide athletes to have achieved gold at four or more consecutive Games. He won 10 World Championship gold medals - a record within the sport of rowing. He was knighted by the Queen in 2004. 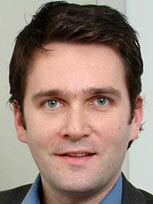 He is a journalist with the Times and a broadcaster with the BBC. One of Britain's most decorated Olympians ever. 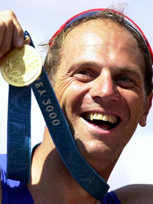 Sir Steve Redgrave is a Team GB rower, who successfully captured five consecutive gold medals at five consecutive Olympic Games from 1984 to 2000. Known as one of Britain's greatest sporting personalities, Steve has also won nine gold medals, two silvers and a bronze at the Rowing World Championships over a span of nine years. His record of 14 total Olympic and World Championship gold medals is unsurpassed by any other rower in history. 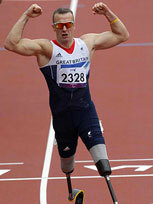 Stef is a Paralympic medalist for Team GB. Stefanie is a Paralympic sprinter who, since 2009, competes for Great Britain in the 100m, 200m and Long Jump. Due to her place of birth, residency, and parents' nationality, Stef had the option to compete for one of many countries. In the 2008, Stef competed in the Paralympic Games for Canada and won a bronze medal in the women’s T44 200m. Switching allegiance, Stef began competing for Great Britain in 2010, breaking 3 World Records over a 2 months. In 2009, Stef decided to begin to compete for GB, going on to win a silver medal in the long jump at the London 2012 Paralympics, and is a strong multi medalist contender for Rio 2016. Steve is a Team GB Olympic medalist. 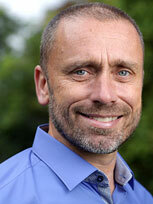 Steve Backley OBE only turned to the javelin after competing in cross-country and middle distance running. He then went on to become four times European champion and winner of three Commonwealth golds, and the only British athlete to win medals at three consecutive Olympic Games. He was ranked in the top ten for a decade, three times as world number one. 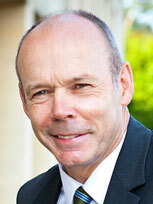 Steve identifies the three main attributes which lead to success: self-belief, motivation and application. Winning is more than just natural talent. We all have the ability to tap into these natural sources to make the ultimate difference on the day. 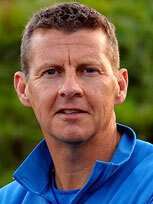 Steve Cram is a British retired track and field athlete. Steve Cram is a British Icon recognised as one of the finest athletes of his generation. He is a World, Olympic, European and Commonwealth medallist as well as 3 time World Record holder during his illustrious athletic career. He was recognised for his achievements by winning the BBC Sports Personality of the year in 1983, and receiving his MBE in 1986. Tanni is Britain's best known and loved Paralympian. 11 Paralympic Gold Medals, 6 times winner of London Wheelchair Marathon Baroness Tanni Grey-Thompson is Britain's greatest Paralympic athlete. She competed in five Paralympic Games, winning 11 Gold Medals, and is acknowledged as one of the most gifted and courageous sportswomen of her generation. In addition to her outstanding Paralympic achievements, between 1992 and 2002 she won the London Wheelchair Marathon a total of six times. Now retired, Tanni still plays an active role in the administration of sport.